After reviewing the design brief and performing your own research, you believe you have a good idea on what the client is looking for. As such, you devote time and effort into creating the best design possible. Confident, you present your work to the client — only to receive feedback that it doesn’t fully meet their expectations. However, just because you’re the graphic designer doesn’t mean you have to force your opinions down the client’s throat. Such actions will not only damage your relationship with the client, you might even lose the project altogether. The last thing you want to do is view every feedback as a personal attack and get overly emotional. Remember, you’re providing a solution to the client, which means meeting their needs as best as you can. In order to achieve success as a freelancer, you have to put your ego to one side, and learn how to manage client feedback well. WHY DOES A CLIENT GIVE FEEDBACK? The first thing you should realize is that the design process — while important in establishing client expectations — is also very unpredictable. There’s really no way to know how the client will feel upon seeing your work. After all, graphic design is subjective, so what works for you might not work for the client. Furthermore, your work is based on what you think the client needs, which might not necessarily be true. If they feel that you have missed the mark, then it’s only natural that they help you get on the right track. In fact, a client that gives you feedback is a good thing. It shows that they’re invested in the design process in one way or another. A project is most likely to be successful when there is ongoing collaboration between you and the client. As such, you should always respect the client’s opinions, no matter how negative. An attribute you should develop as a graphic designer is the ability to take things in your stride, and be open to new possibilities. After all, you will be dealing with clients from all walks of life, who may or may not disagree with you. In general, always try to analyze every feedback and seek clarification by asking specific questions. Feedback can either guide you towards meeting the client’s needs — or just be downright negative. You have to identify the type of feedback the client is giving, and act accordingly. In the meantime, you should always remain respectful, careful, and calm. It’s important that your responses are well thought out, which means explaining your design rationale so the client can see your point of view. Also, consider explaining things differently to get the point across. A support group is another way to help you manage client feedback, especially in times of frustration. A fellow designer can encourage you to take a step back and see the situation from a different angle. In some cases, the client will try to push the blame to you for making bad design decisions, even after the project is completed. As such, you should always document the feedback provided, both positive and negative, to free yourself from any liabilities. Let’s start with the good: when the client provides constructive feedback, which means feedback that is specific, unbiased, and allows you to take immediate action. It can also add a fresh perspective and uncover potential areas for improvement. After freelancing for some time, you might find yourself following the same routine, and some habits can be hard to break. As such, you should always be open-minded to constructive feedback, since it gives you opportunities to hone your skills as a graphic designer. As most clients aren’t familiar with graphic design (which is why they hired you), it’s not uncommon for them to ask for changes that go against the basics of design. In such cases, you have to reestablish yourself as the expert, educate the client, and remind them that your goals are the same: to make the project a success. Most likely, the client will value and follow your advice. One tip is to mock up your next set of concepts before presenting them to the client. Seeing your work in context will make it easier for them to visualize your vision, and convince them that you know what you are doing. Some clients might provide feedback that is vague. You will have to take the initiative and dig deeper to find out what exactly they have in mind. Another approach is to provide choices for them and keep them involved in the process. You want feedback to be actionable, otherwise you will be wasting time and effort on uncertainties, which is never a good thing. Oftentimes, the client will request for changes that influence the scope of the project without realizing it. It’s your job to help them understand the effects of such changes — particularly on pricing. A more difficult situation is when the client wants to abandon the design brief and go in a different direction altogether. It’s important to tread carefully here; talk to the client and find out the reason behind the decision, then decide whether such drastic changes are truly warranted. If not, you have to let the client know and propose better alternatives. The worst case scenario is when the client absolutely hates your work and rejects everything you have done so far. It’s a huge blow to you as a graphic designer and your design process. No one will blame you if you feel the need to defend your position. However, the better approach is to take a deep breath and count to ten before crafting a response. First, you have to determine whether the feedback has any tangible value or is purely emotional. If it’s the former, there’s still hope, since you can use it to formulate your next course of action. If it’s the latter, you still have to try to understand where the client is coming from. In the event that you need to start over, be sure to discuss the objectives and establish expectations right away so you don’t make the same mistake twice. The bottom line is that you choose your battles wisely, always do your best to reach a compromise, and focus on moving forward. Unfortunately, there will be (rare) instances when the client refuses to listen to anything you have to say, and insists on having their way. Even worse, they can just be plain negative and will take any chance to put you down. Now, you’re faced with two choices. The easiest — and least stressful — is to abandon the project and not work with the client ever again. Be honest with them, and try not to end things on a bad note. Otherwise, you just have to grit your teeth, separate yourself from the work, and do what they ask. You can try to offer advice from time to time, but your goal is to get the project over and done with as soon as possible. 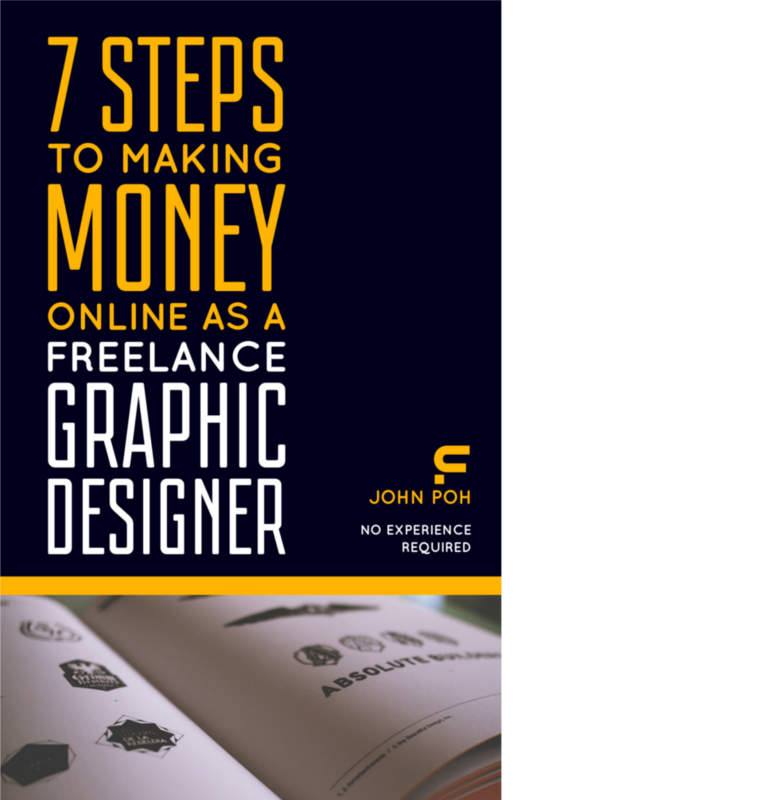 At the end of the day, freelancing is a business, and if the client is happy, you get paid. In the end, managing client feedback is a matter of patience and persistence. When done well, it will allow you to grow quickly as a professional. You have to be prepared to find middle ground and leave your pride on the backburner, while guiding the client towards a design that is of the highest quality.